The call came late at night, Matt Zuccaro told Flight Safety Australia. A client urgently wanted his helicopter charter company to ferry a high-roller gambler from Atlantic City. The weather was bad, and it was late, so Zuccaro, now president of the Helicopter Association International, called his crew to see what was going on. “The weather’s no good, so we’re going to overnight,’ the crew told him. ‘That’s OK—have a good sleep,’ Zuccaro replied and called the client to cancel the flight. The client was unhappy, and rang off angrily. Four hours later, Zuccaro received another call, ‘Did you hear what happened?’ one of his crew asked. ‘No, I was asleep; it’s 3am!’ The client had found a GA operator to take on the job—a VFR pilot was flying, not even IFR rated, accompanied by a friend, who while he had a helicopter licence, was not current, in the co-pilot’s seat. Following the lights of traffic on the busy highway, they flew through the dark and bad weather to Atlantic City, and picked up the high roller and two guests. They were on the return leg when they crashed 14 miles off into the Atlantic Ocean. All on board were killed. The ‘go-at-all-costs’, ‘can do no matter what’ or ‘mission’ mentality is a factor often cited in accident investigation reports. What is less clear is how to improve aviation decision making, especially in what has been a prime area for such accidents: helicopter emergency services, or EMS. One experienced rotary EMS pilot agrees that the very nature of their work creates a sense of urgency—‘It’s not just annoyed passengers at a terminal; potentially it can be a matter of life or death’. Against that you have to take into account all the other options available, he says. ‘Out of all the flights we do, literally one out of 40 flights, or even one out of fifty would result in death if we didn’t fly.’ There are often other possibly more efficient and less risky options, such as land transport—ambulances, for example. 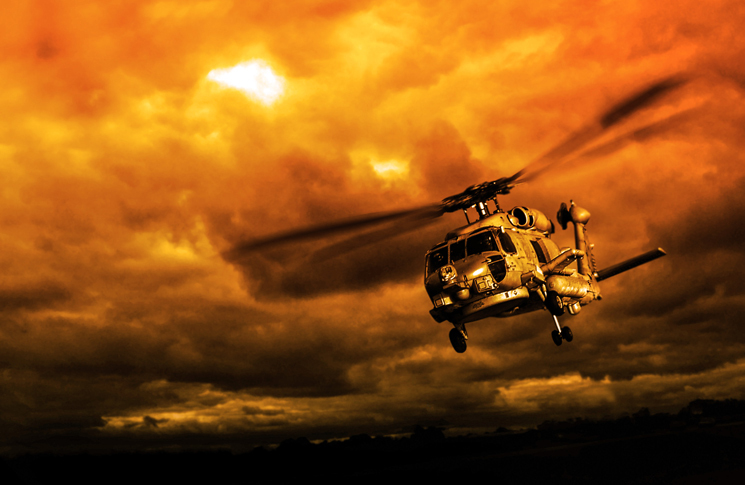 Why does helicopter EMS get caught up in the ‘do-or-die’ mission mentality? There’s pilot hubris—that excessive pride or self-confidence which makes pilots reluctant to say ‘no’. Couple that with the community focus of many EMS operators, which attracts altruistic pilots, motivated by a sense of a higher calling, and you have the ideal ingredients for mission-focused decision-making. This altruism, one pilot says, while admirable and understandable, is also the EMS pilot’s kryptonite—a potentially fatal weakness. ‘There’s also a tension between the rotary and the medical worlds. You have the confluence of aviation and medical decision-making’, he says, with a parallel medical hubris arising from ethical codes such as the Hippocratic Oath. However, he argues, making that ‘go/no-go’ decision is not a binary, black and white one—it’s far more nuanced than that. Different pilots have differing acceptability thresholds, saying ‘yes’ to a job, and the shades of grey come when, for example, it’s legislatively safe to fly—you meet the various minima, alternate and fuel requirements—but differing experience levels mean there may be a greater appetite for risk. There has been a lot of sage advice about empowering pilots to make safe decisions to avoid the mission-mentality induced pressure. These often fall back on the aviation standby, the checklist. Chapter 17 of the Federal Aviation Administration’s Pilot’s Handbook of Aeronautical Knowledge on aeronautical decision making, offers a number of such acronym checklists: I’M SAFE, PAVE, the five Ps, SAFETY, DECIDE and the OODA loop for the single pilot to use in single-pilot resource management (SRM). However, as well as employing these checklists, the FAA publication stresses the importance of risk management. And for our EMS pilot, effective risk management is the key to succumbing to the pressures of the mission mentality in making those ‘go/no-go’ decisions. Their organisation has a formal mechanism for assessing the risk versus return for a task—the total mission risk analysis. The matrix tool brings together aviation risk on one side—the aircraft, pilot experience and fitness, weather, geography—and medical risk—the state of the patient, available options on the other. The tool enables combined decision making: the expertise of pilots, doctors and paramedics is brought to bear, and this generates a score, ‘simple for us pilots: green, you’re good to go; yellow, the doctors have to consult with more senior clinicians and the pilot with the senior pilot; and red, a simple no-go’. Importantly, the organisation is highly supportive of the pilot’s decision to say ‘no’. The massive Louisiana-based Petroleum Helicopters Incorporated (PHI), and its subsidiary, PHI Air Medical, which operate about 250-odd aircraft, a large percentage of those helicopters, internationally, and transport more than1.3 million people annually, including 30,000 medical patients, has a similar focus on risk management. Robert Bouillion, PHI’s health, safety, environment and quality director, told Rotor and Wing magazine in 2012 that PHI ‘has taken great care to dramatically expand its training and expectations of crew understanding and authority, as well as create guidelines and procedures that take the “go/no-go” pressure from its pilots … No-one is authorised to deviate from established procedures to get the job done.’ Complementing this is the ‘enhanced operational control program, to provide crews with better, more immediate decision-making information for specific situations’. Equipping pilots to be better decision makers recognises the role of human factors in safe EMS operations. Over his ten years in EMS, our helicopter pilot said there was a growing recognition of the value of human factors (HF) training and awareness in overcoming the mission mentality mindset. While earlier, there was crew resource management, it was a nice add-on, and not considered fundamental as HF is now. Unheard of ten years ago, their EMS human factors training now includes the paramedics as an integral part of the crew. It is important he says, to educate our taskers, about the pressures EMS creates for safe aviation.